Pixel Snack makes games for the whole family. Pixel Snack was established in 2017 in San Francisco by Alexandre Delbarre, Rush Puppy is the studio's first game. 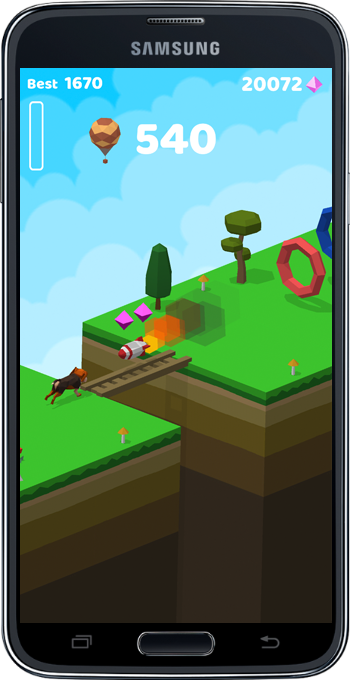 Rush Puppy is an infinite runner in 2.5D featuring 16 hilarious puppies to unlock, amazing worlds to discover, and hours of mobile fun! Jump through the hoops, dodge the enemies and collect gems as you go further. Sharpen your timing skills, compete with your friends and take over the leaderboard! Available for free on iPhone and iPad and Android.